SVRA’s Heacock Classic Gold Cup has has withstood the test of time. Since its reopening in 2000, Virginia Intl. Raceway has hosted SVRA events. As soon as the repaving cured and the track restoration was called complete, SVRA racers have enjoyed smooth pavement, elevation changes, and country club like facilities. 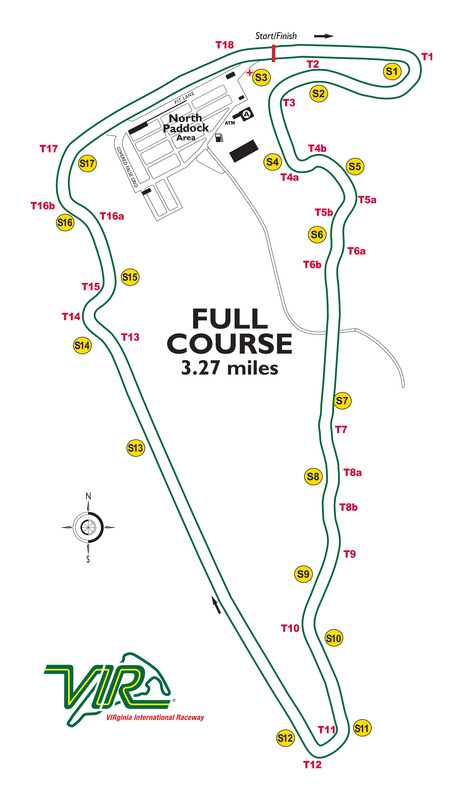 Grids filled with vintage and historic Sports Racing, Formula and Production/GT race cars continue to celebrate the return of this historic track. The Trans Am Series presented by Pirelli and IGT will again be on the Heacock Classic schedule. New this year, the Mazda Miata Heritage Cup (a separate race group) has been added to the schedule. This group is made up of 1989-1997 Mazda Miata NA, 1.6 and 1.8L cars. This new race class offers a fun and cost effective “entry point” to vintage racing. 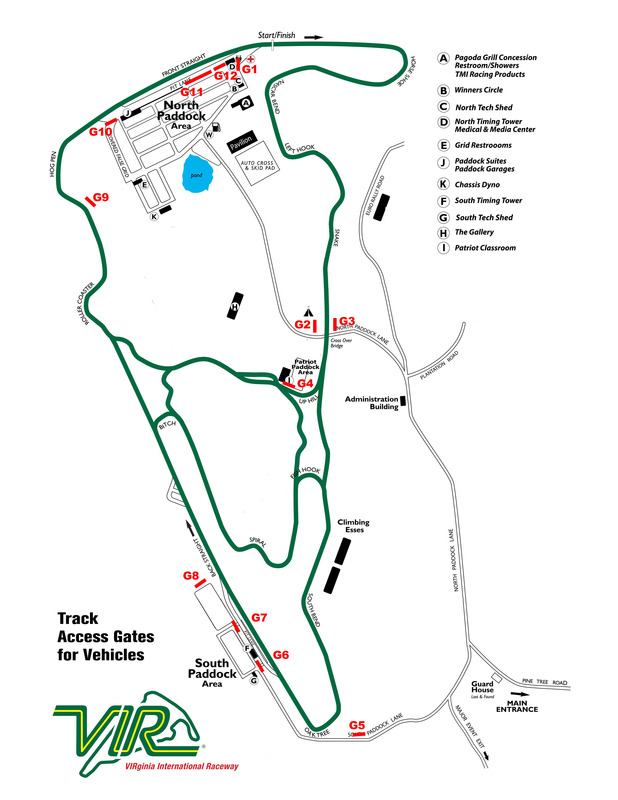 The VIR Car show will again be held on the lush grounds, and get a lap of the track. Over 100 street and performance cars are expected. The National event is open to competitors that hold current competition licenses or driving privileges from a VMC recognized vintage racing organization. If you hold a temporary license from a VMC recognized group, you may enter the event, but will be required to take the Driver Orientation Program (DOP) on Thursday. Make sure you have your medical, licenses, I.D. and any other documents that you may need to submit with you when you go to Registration. It is the participant’s responsibility to contact their home organization for proper documentation if needed. If you have questions, contact Alex Miller (alex@svra.com) SVRA National Licensing Director. It is the responsibility of the entrant to understand and comply with all of the relevant rules of SVRA. It is especially important to be familiar with SVRA’s Tire rules, Head and Neck requirements, and Fuel Cell requirements. You can review all of the SVRA rules and requirements, the Competition Bulletins and Technical Bulletins on our website at svra.com. Please confirm that you have a current Race Car Compliance Form (RCCF) and an Engine Certification Form on file with SVRA for every car entered. Contact Rick Parent, SVRA Technical Director with car compliance issues that need to be addressed, prior to the event at (rick@svra.com). SVRA has a mandatory head and neck restraint rule at all SVRA events. These systems must meet SFI 38.1 Standards. Other devices may be approved. Please review Competition Bulletin CB2013-009 or contact rick@svra.com. Transponders are required for all entrants and the number is recorded in an accessible location and available during Tech Inspections. A limited number of rental units are available. Please contact Janet Harhay (jharhay@aol.com) prior to September 1st if a rental is needed. This schedule is a working model and may change and will be updated as needed. SVRA reserves the right to change/modify this schedule without notice but will make every effort to firm up the schedule as soon as possible. You will be given an official schedule at registration. Located on Ryans Way just off North Paddock Lane. Load-In: participants and crews will be able to stage vehicles across from Registration, go register and then enter the track for Load-In. It is planned that initial Load-In will begin on Wednesday, Wednesday, September 20th at approximately 5:00 pm Registration will open 3:00pm to 6:00pm on Wednesday. Check schedule posted for Registration times the rest of the weekend. Registration and load-in on Thursday will be from 7am-5pm. Haulers will be parked at the discretion of the Paddock Marshalls. and have total authority over this process. Pounding stakes or making holes in any asphalt surface or the use of paint or spray markings of any type on any asphalt surface is prohibited. Overnight camping is allowed in your hauler/tow vehicle, RV, etc. in the paddock. Sunday Night Stay: Rigs and Haulers may stay overnight Sunday night, September 24th on Raceplex Road just behind Registration. Participants will need to move their rigs to this area, but will be able to stay until Monday. Hoosier Tires, the official tire of SVRA, will be available on site. Participants may order race tires for at track delivery mounting and balancing from SVRA sponsor, Bob Woodman Tires (bobwoodmantires.com). Sunoco, the official racing fuel of SVRA will be available on site at the track fuel pumps. 93-octane unleaded which may contain up to 10% Ethanol. 98-octane (260 GTX) unleaded which is Ethanol Free. For off-road and racing applications only. 100-octane unleaded which may contain up to 10% Ethanol. 110-octane leaded which is Ethanol Free. For off-road and racing applications only. We appreciate your patronage of this sponsor. Waste fluids may be dumped in the labeled containers next to the fuel depot. VIR does not accept Chlorinated Brake Cleaner on property. If you have questions, please contact Kerrigan Smith at 4334-0822-3108. Black Flag and Mechanical Black Flag will be displayed at Start/Finish. Each competitor must have a fire bottle displayed in their paddock area. VIR discourages bringing pets to the track. However, pets will be allowed if they are leashed and cleaned up behind. Otherwise, VIR will locate the owner and both will be asked to leave. Do not take leashed pets onto False Grid or pit areas. Pets are not allowed in any of VIR’s buildings, concession areas or lodging locations. Will be located at the Gallery. Drivers will be given 2 tickets for the dinner and additional tickets may be purchased at Registration for $30 each.